To those who have seen their reach and influence on social media platforms suddenly minimized, the storm's distant rumblings are a welcome sound. A few tech giants control the vast majority of the flow of online commerce. Among these are Facebook, Google, Twitter, and YouTube (owned by Google), each dominating a different facet of the internet, and each in their own way presenting a very real existential threat to conservatives. Together they hold a near-monopoly on the flow of information and news. As such, they are able with their complex algorithms to manipulate public discourse and limit free, unimpeded inquiry. These tech giants, fueled by a politically correct worldview, are ultimately able to undermine what it means to live in a democracy. Because of this, questions are being raised by lawmakers on Capitol Hill as well as by White House execs. There are indications that both suspect the time is ripe for these tech giants to be regulated as public utilities in order to provide greater safeguards against heavy-handed favoring of progressive values and messaging overbalanced or conservative ones. Vice President Mike Pence is concerned about Facebook and Google, according to a report in Axios. "Though Pence isn't yet pushing internally for any specific regulations, he argues these companies are dangerously powerful," said the report, adding that a "source said the V.P. worries about their influence on media coverage, as well as their control of the advertising industry and users' personal info." Former White House Chief Strategist Steve Bannon has called for social media platforms like Facebook and Google to "be regulated as utilities." Some seem to favor a higher degree of regulation, while others toy with the idea of breaking up the online giants. Both notions send up red flags in conservative and libertarian circles, where government intervention and bureaucratic heavy-handedness have traditionally been anathema. In the end, though, it looks like the battle will be between the Leviathan federal government and the nascent social media Behemoths. The clash is unavoidable, because if the tech giants are allowed to continue on the path they are now on, the voices of conservatives will be muted to an inaudible whisper, and their visual presence will simply vanish. It will be as if conservatism, traditional religion, and even patriotism as we know them will have ceased to exist on the internet's public forum. When Facebook adjusted its algorithms earlier this year in order to ensure the promotion and dissemination of what it deems "quality news," websites purveying 'conservative' news—including LifeSiteNews—noticed a precipitous drop in traffic and reach. Facebook's January 12 announcement that it would begin to de-prioritize news publishers and their posts in users' News Feeds has had a surprisingly profound and partisan impact. 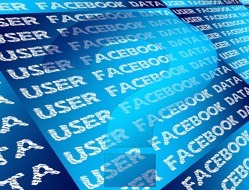 According to The Outline's analysis of Facebook engagement data obtained from research tool BuzzSumo, conservative and right-wing publishers (such as Breitbart, Fox News, and Gateway Pundit) were hit the hardest in the weeks following the announcement, with Facebook engagement totals for February dropping as much as 55 percent for some, while the engagement numbers of most predominantly liberal publishers remained unaffected. The report pointed out that Breitbart's engagement dropped by 28% and PragerU dropped by a whopping 32%, despite publishing 18% more content during the time period. Not only that but "In the month following the algorithm change, engagement on Donald Trump's Facebook posts dropped sharply," according to a Breitbart report. "Total engagement dropped by approximately 45 percent, according to data from leading social media analytics firm NewsWhip." Tech giants like Facebook, Google, and YouTube now enjoy political power on par with Big Oil and Big Pharma, and power to influence American society like perhaps no corporate entities, ever. Yet Oil and pharmaceutical companies are subject to strict regulation. "Competition is stymied," and "Power is in the hands of too few," asserts Talton in his Seattle Times opinion piece, where he suggests that the tech giants need to face a "Theodore Roosevelt-style trust busting." Steve Bannon, said last year that Facebook and Google "have become essential elements of 21st century life," that "should be regulated as utilities," according to The Intercept.